"A dastardly infernal device. It imitates Human speech and warps the minds of the weak-willed." A machine invented to faithfully reproduce the sounds of Human speech, the grand Euphonia was intended by its creator to revolutionise cosmic communications. In actual fact, the sound produced by this device was so pants-wettingly thunderous it caused a Christmas catastrophe that almost plunged the British Empire into a deep and abiding depression. The Fabulous Speaking Machine was the curious brain-child of Joseph Faber, an inventor and former truckle-sweeper who was struck by inspiration while languishing on Spondle 7. Reproducing the strange and sensational images in his head, Faber quickly caught the eye of the British Royal Household, and exhibited his new device for Princess Victoria and her family on Christmas Eve. The Euphonia device, largely comprised of a series of bellows and piano keys fronted by a mannequin dressed up as an approximation of Queen Victoria in her more mobile years. 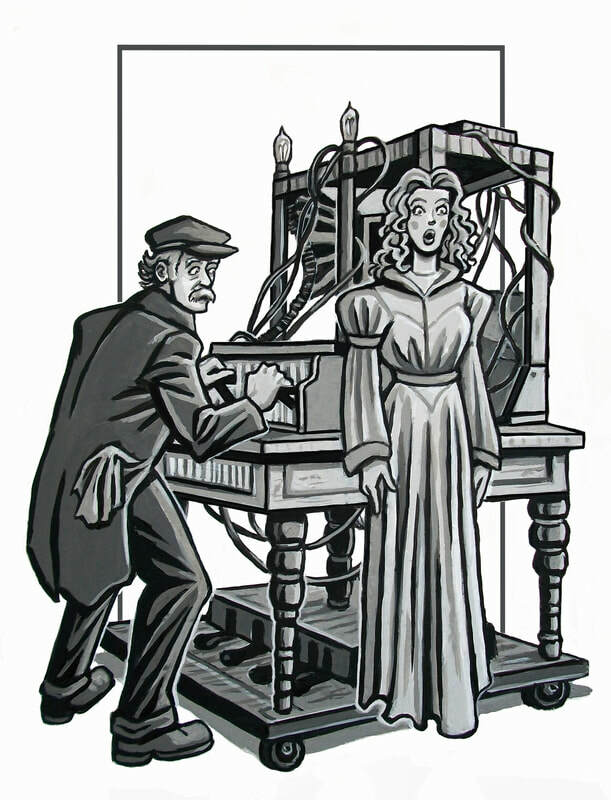 Unfortunately, the sound that came out of her wax mouth was offensive enough to impel colossal depression in everyone who heard it, and forced the Princess Royal to seek Captain Dashworth's help in uncovering the curse of the infernal machine.